The children of Haddonfield are helping some four-legged friends during downtown Haddonfield’s Pet-a-Palooza in a creative way. Children in Haddonfield’s after-school programs painted canvases in regard to rescue and animals when the non-profit foundation Paw It 4ward came to visit and educate the children about rescue animals and animal welfare. Named “Art 4 Paws,” Paw It 4ward will be selling these hand-painted children’s creations at The Bistro at Haddonfield during Pet-a-Palooza on March 21. All money raised from these local artists’ work will go toward Paw It 4ward, which will use the money to offset the exorbitant medical bills of local animal rescues. 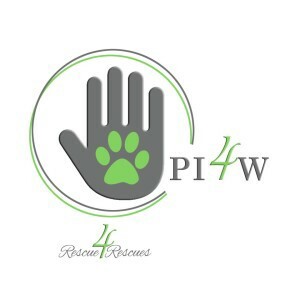 “With Pet-a-Palooza being on March 21, we thought this would be a great way to raise money to help animals as well as spread awareness,” Azita Kay, president and founder of Paw It 4ward, said. Kay and Denise Sellers of Haddonfield Child Care arranged for Paw It 4ward to come to some of the local after-school programs to raise awareness of rescue animals and animal welfare with some of the children, but in a fun way. Kids got to decorate bone-shaped cookies, create dog toys and paint canvases. 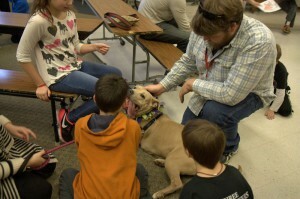 They were also visited by some rescue dogs during their visit. “The twinkle in the eyes of the kids, you can see how happy they were with the animals there. Animals do make a difference in your life; they can be very therapeutic. And the kids were just so happy that day,” Kay said about the Tatem Elementary after-school program visit. Both women wanted to find a way for the organization to raise funds while getting the children involved, when Sellers thought of selling the painted canvases at Pet-a-Palooza. “We were thinking about what would be a great way to fundraise that is fun and interactive. We thought this was a great way for them to be creative and help out as well. Haddonfield is such an amazing town, and parents wanted to be involved. Pet-a-Palooza just made sense. We are raising awareness and keeping everything we did in town as well,” Kay said. The art is mostly painted on an 8-by-10 inch canvas, with a few 5-by-7 inch ones, all by local kids. All paintings include animals or the rescue of animals in some way. “Some of them are just amazing. It is so heart warming to see all of the effort they put into them,” Kay said. The canvases will be on display at The Bistro at Haddonfield during Pet-a-Palooza, as well as the week after. The Bistro will be hanging the artwork inside, along the windows so they can get attention from everyone walking down the street. “The Bistro is so dog-friendly; it is really, really nice of them to do the display. They’re really going above and beyond to make sure it will be a success,” Kay said. Paw It 4ward will be asking for a $20 donation for each work of art, but of course buyers can donate any amount. All money raised will go toward the medical fund that benefits local rescues. For more information visit www.pawit4wardfoundation.com.